Chief Minister Prem Kumar Dhumal will inaugurate the ambitious Lift Water Supply Scheme constructed at a cost of Rs. 70cr at Kangehan in district Kangra on October 6. This lift water supply scheme to be operated in full automation will cover a population of more than 1.311 lakh scattered over 35 panchayats of Changar area of Tehsils Jaisinghpur, Dehra, Khundian and Palampur. The scheme jointly funded by the State Government, NABARD and ARWSP has been sanctioned in 2008 and subsequently Rs. 29 crore have been sanctioned under 13th Finance Commission, out of which Rs. 4.75 crore had been spent. Remaining would be spent on proper maintenance of the scheme. This scheme has been completed on war footing within four years. 27 existing schemes have been augmented and 564 habitations benefited. A provision of storing 91 lakh litres water has been made under the scheme by constructing 15 storage tanks. 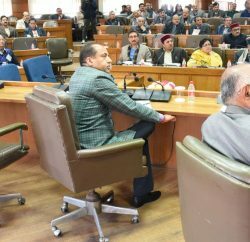 Himachal Pradesh Government has accorded priority to provide safe drinking water to the people of the State and all out efforts are being made to construct new water supply schemes in the remotest areas of the State, besides augmenting the existing ones. 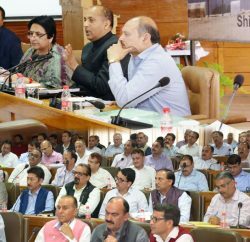 The State Government is working on a plan to provide facility of drinking water to all left out habitations in the State. There are 53205 habitations in the State as per survey conducted in 2003, out of which 28640 had been covered upto March 2007. 14462 habitations have been provided with drinking water since the present State Government has taken over. Besides, 6885 hand pumps have been installed during this period.